A brief check of the Galway Advertiser archives reveals Vine’s previous Galway show was in November 1999, so his forthcoming appearance at the Town Hall Theatre on Wednesday September 5 is well overdue, to say the least. Vine's current show, Sunset Milk Idiot, sold out its entire run at the Edinburgh Festival where he had previously won the award for Dave’s Funniest Joke Of The Fringe in 2010 ("I’ve just been on a once-in-a-lifetime holiday. I tell you what, never again." ) and 2014 ("I've decided to sell my Hoover…well, it was just collecting dust." ). 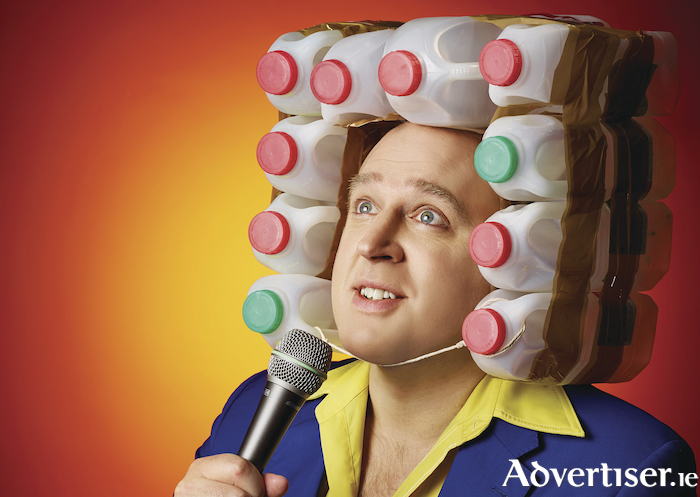 He is also fresh from his success on BBC Radio 4 with The Tim Vine Chat Show, which has just finished its second series, and on BBC 1 with the madcap Tim Vine Travels Through Time. Page generated in 0.0882 seconds.